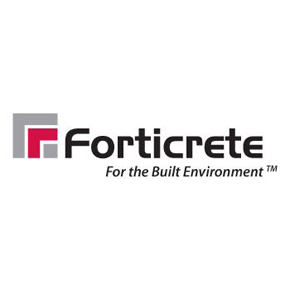 Forticrete was founded in the late 1920's as Wilkinson Brothers of Liverpool and soon became the Northern Cement Construction Company, manufacturing bricks, pipes, tiles and terracotta and after further expansion ornamental precast concrete and flagstones. Forticrete's range of products is unrivalled in its field, having evolved over five decades through close collaboration with its customers. By analysing the needs of an ever-changing market and adding our its considerable technical expertise it has developed products that provide an optimum balance of aesthetics, performance and value. 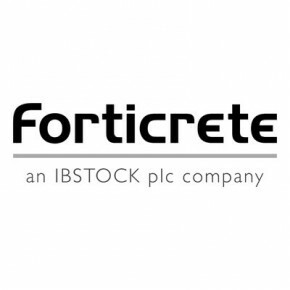 Forticrete has long been the driving force at the forefront of innovation in Architectural concrete block development and this reputation now extends to the processes it uses and the services it provides to serve the UK construction industry as a whole. 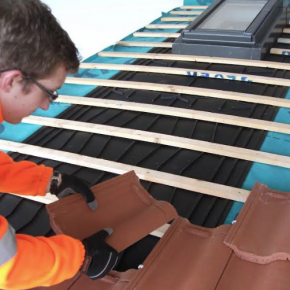 Forticerete's reputation as an innovator extends company-wide - its roofing tile - Gemini - was awarded prestigious Millennium Products status by the Design Council and subsequently, was honoured by a Queen's Award for Enterprise: Innovation in 2001. Forticrete will be showcasing its innovative range of precision engineered concrete building products at the Build Show, which is part of UK Construction Week (9 – 11 October). Forticrete’s MD, John Lambert, gives his view on the speech of The Rt Hon James Brokenshire MP at the Conservative Party Conference. 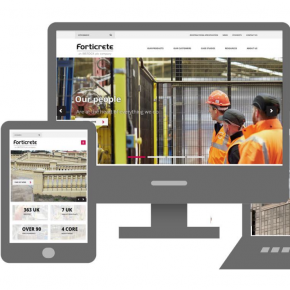 Forticrete’s new website is sure to provide customers with an enhanced online experience. Forticrete is celebrating and recognising the services of one of its employees, Karl Stevens, for 25 years at the company. 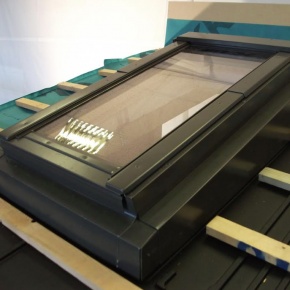 Forticrete’s innovative low pitch roof window system has been added to the Local Authority Building Control (LABC) Registered Details list. 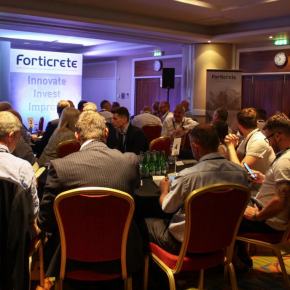 Innovate, invest and improve were the main themes at the first ever Forticrete Roofing Forum, held at the Forest of Arden on 4 July. 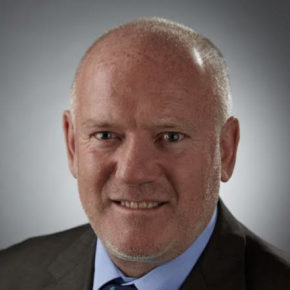 Forticrete, part of Ibstock plc, is urging builders not to forget about alternatives to traditional building materials, following research by the Federation of Master Builders (FMB), which highlighted rising prices. 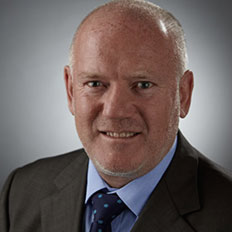 MD at Forticrete, John Lambert, has spoken about the Spring statement recently made by Chancellor Phillip Hammond. Forticrete has welcomed the newest dry fix standard, so much so it is already having its products put through strenuous testing to meet the criteria. 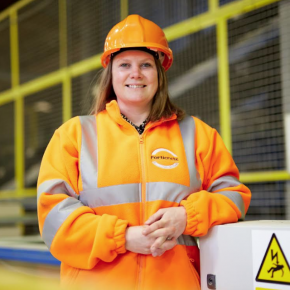 A Government report analysing the value of waste has been well received by Forticrete a leading manufacturer of concrete construction products. 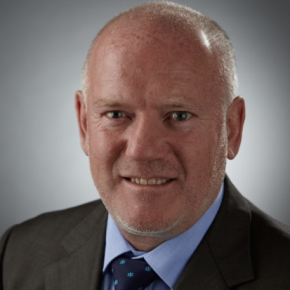 Forticrete invests in anticipation of a growth in demand following the recent Autumn Budget Statement from the Chancellor. 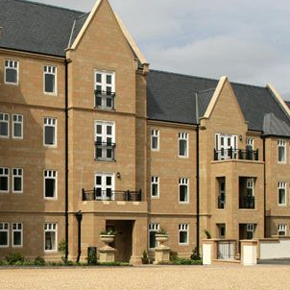 Forticrete’s Regency Ashlar blocks have been specified for a heritage-style residential development in St Elphins Retirement Village.